Web.com is one of the more popular providers that meets both hosting and site building needs. This host caters to a number of operating systems in order to generate better user access, with choices such as Unix, Windows, and Microsoft Exchange. Depending on the support system, clients can also benefit from open source for better data storage and speed, as well as security updates. While Web.com does support customer web site builders, they also offer packages that include professional design and publishing. The number of packages and monthly pricings can suit individuals and professionals. The open source applications can be utilized through Unix hosting, and give customers a variety of efficiency and productivity tools for running a business or gauging the promotional reach of their website. FTP access and automatic back-up also keep files safe and ensure that security standards are high. Web.com has a 99.9% uptime average, and provides some of the most consistent web hosting support for a number of operating systems. They give strong customer support through service and technical solutions, but also offer customers marketing help such as promotions and SEO optimization. 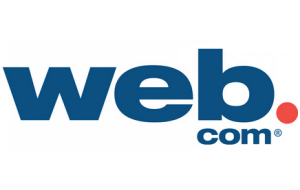 With nearly three million customers accrued over the past ten years, Web.com is considered a solid hosting choice with good accommodations. Web.com gives clients several choices for facilitating the design and publishing of their website. One option is to self build with the aid of templates and a website builder application. This lets customers use drag and drop and one click features to personalize pages with text, images, and even video. It is an easy to use feature that walks an individual through the steps and also through modifying saved work. Web.com also gives clients the choice to have their website professionally programmed. One of the hosting options includes working with customer support to explain the site layout and vision, and allow a software operator to generate these pages for publishing. This can be done as part of a full package, or as an add-on to a basic hosting services. Web.com gives clients hosting options with powerful open source application access, and also provides a stable platform for individuals who need business promotion without the effort of design. This provider can be very good for businesses that have a strong real world foundation and are looking for an extra reach with clients. The site building tools along with the site building services facilitate quick publication. Solid customer service can guide people in managing their pages once they are published. I loved all the different online store options that came along with the ecommerce site building formats. I was able to choose different payment methods and carts to suit our customers’ needs. The Reputation Alert feature gave me an entirely new insight as to how our business is received by the public, and I love feeling so connected to our customers at any given time. Even though I’ve never built a company website before, the templates made the whole process really easy and fun. I was able to get my website built and running in no more than a day. Building a website for my business was something I knew I needed to do, but I didn’t even know where to begin. Web.com built my site for me and I couldn’t be happier with the result. I love the gallery of stock images and ready to go content; I could build my website in a flash and get it up and running for my customers to see. The fact that I can pay for the services and features that I want lets me keep the price of maintaining my website down and provides me with a truly customized user experience. Although I have little marketing experience, I do have some knowledge of website building. I was happy that Web.com let me build my site how I wanted it, but was there to provide the marketing assistance I needed! The SSL security certificate Web.com let me put on my site gave my customers the peace of mind the needed to continue to shop with us in an online format. I love the Take a Payment feature, and our company’s customers love that they can pay for any service easily from the comfort of their home. Since opting in to the SEO services offered by this hosting site, my company website has been climbing the google ranks and the new flow of traffic has been incredible. I left it to Web.com to build our company’s Facebook page, as the old page was not generating enough excitement, and we’ve doubled in “likes” so far! In the restaurant business, reputation is everything. The Reputation Alert features is very impressive in how it allows us to stay informed of just what customers are saying about our business. The Facebook scorecard really helped me to track my business’ Facebook activity, and I was surprised by just how much traffic comes in from social networking! The specialized ecommerce website designs let me take my boutique to an online format with ease. Now our sales are doing better than ever with customers being able to shop from home or in store. I like that I had 3 different affordable rates to choose from, and it made me feel more comfortable to know that I had the power to pick my own package. Help us to help others by leaving a short review. What was your experience with Web?